A Scottish chef cooked up a gold at a UK wide competition, beating off hundreds of rivals – from the same firm. Tom Beauchamp flew the flag for Scotland when catering giant Sodexo held its nationwide ‘Chef of the Year’ competition, taking home a gold medal after wowing the judges with a menu featuring home grown seasonal products. The 35 year old, who works for the company’s Sodexo Prestige Venues & Events arm in South Queensferry, narrowly missed out on the Chef of the Year title to Neil Yule, but was rewarded with gold for his efforts. The competition, which looks to assist with the development of Sodexo’s chefs, saw all eight finalists awarded for their efforts and the top two were presented with gold medals following a gruelling 90 minute cook-off. Competitors at this year’s competition were met with a formidable judging panel consisting of renowned Michelin starred chef, Alyn Williams, alongside last year’s Sodexo Chef of the Year winner, Louisa Matthews and Russel Bateman, who won the 2014 National Chef of the Year competition. As a reward for his efforts, Tom will be joining the other winners on a study trip to Hugh Fearnley-Whittingstall’s famous ‘River Cottage’. Heading up Production and Development operations in Scotland, Tom attended a ‘mentor day’ on the run up to the final, offering those taking part the opportunity to pick up some valuable tips from some of Sodexo’s most talented, top of the line chefs, including Executive Chef, David Mulcahy. Tom said of his win: “Competitions like this are vital to the development and progression of chefs, so it’s great to be involved. “For me, cooking is a real passion so I consider myself to be very lucky to be able to make my passion a way of life here at Sodexo Prestige in Scotland. “The competition was a great learning curve and I always pick up so many valuable tips that I know I will use in my day to day role with Prestige Venues & Events. “My menu for the competition was inspired by the season, with so many of the ingredients currently at their peak, I was eager to feature them in my menu as they taste delicious at this time of year and work so well in so many dishes. Looking to wow the tough panel of judges, Tom and his Commis chef, Ross Clark, created an inventive menu featuring a sea bass starter with artichoke and truffle, and for the main course, a lamb fillet, flank and sweeatbreads with a salsa verde. The icing on the cake was the dessert of Bramley apple mille fuille with apple caramel, vanilla diplomat and cinnamon ice cream. Stephen Frost, Divisional Executive Chef for Sodexo Prestige, said: “We are all extremely proud of Tom’s efforts in this competition and where he placed. 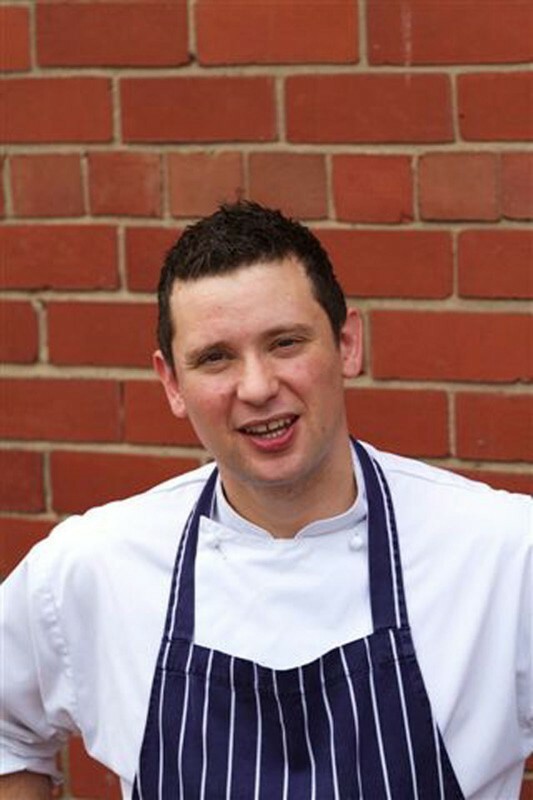 “He is a very talented chef and one that we are delighted to have in our team here in Scotland. A talented chef with a host of awards already under his belt, Tom is renowned for his experience with some of the UK’s most gifted chefs, including double Michelin starred, Andrew Fairlie, of ‘Restaurant Andrew Fairlie’ at Gleneagles. Prestige Venues and Events is partners with 17 top class venues across Scotland – and 50 across the UK – including Hampden Park, Royal Botanic Garden Edinburgh and Perth Racecourse.